NEW LEGISLATION PASSED by the European Parliament means police forces will be able to share information on non-resident drivers caught for motoring offences. The difficult faced previously was that individual police forces could not identify the offenders, resulting in many visitors to other EU states escaping prosecution. Ireland, along with Denmark and the United Kingdom, has two years to implement the law. Sinn Féin MEP Matt Carthy said a local example of this will be if a motorist from Northern Ireland is caught speeding in the Republic. “In time, what this will mean is that when the Irish Government and the Northern Executive, or any other Member State, want to start creating a situation where they can share penalty points, it will be much easier to do,” he told EuroParlRadio. 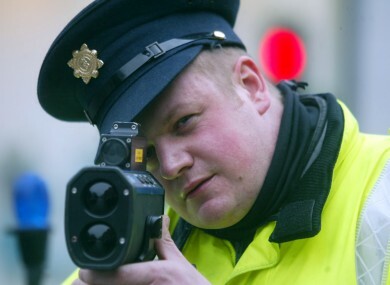 The mechanism will ensure that if somebody breaks laws which are put in place to safe people’s lives, such as speeding laws or drink-driving laws, those types of very sensible measures that have been put in place, that regardless of where somebody comes from… they can receive the same penalties as anyone else. According to EurActiv.com, drivers from other countries count for 5% of road traffic across the European Union, but make up 15% of speeding offences. In France, the number is 25% of the total offences. Antonio Avenoso, Executive Director of the European Transport Safety Council, said the legislation is “long overdue”. Email “Speeding tourists won't be able to escape penalties under new law”. Feedback on “Speeding tourists won't be able to escape penalties under new law”.